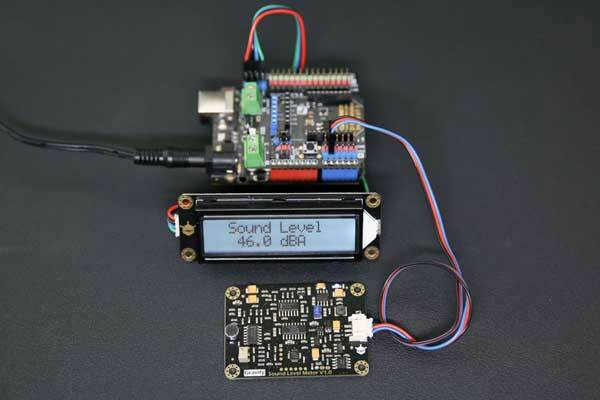 This is an Arduino compatible sound level meter(also known as decibel meter, noise meter). It uses instrument circuit and low noise microphone, which enable it to accurately measure the sound level of the surrounding environment. It can be applied to environmental noise testing, such as highway noise monitoring station, bedroom noise monitoring, etc. Nowadays, there are many kinds of sounds surrounding, some of which are really noisy. It is really essential to measure whether the sound is noisy enough to do damage to our health. Sound level meter (also known as the decibel meter, noise meter) is a basic noise measurement instrument. 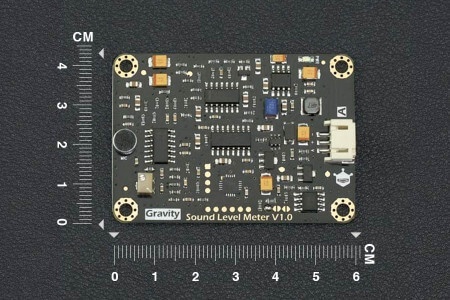 We have launched a sound level meter, which is compatible with Arduino, plug-and-play. It can accurately measure the sound level of the surrounding environment. 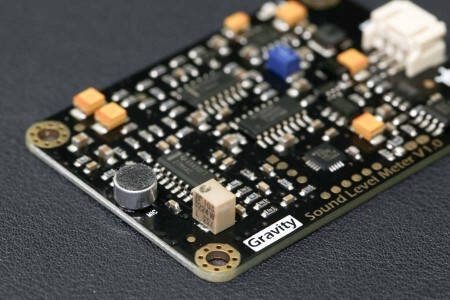 This product uses instrument circuit, low noise microphone, which make it highly precious. 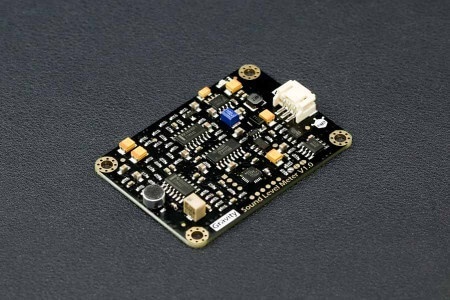 It supports 3.3~5.0V wide input voltage, 0.6~2.6V voltage output. The decibel value is linear with the output voltage, which leads to a simple conversion, without complex algorithm. The connector is plug-and-play, without soldering, so this product can be easily used in your application. Sound level meter is widely used in environmental noise detection, such as highway noise monitoring station, room noise monitoring and so on. 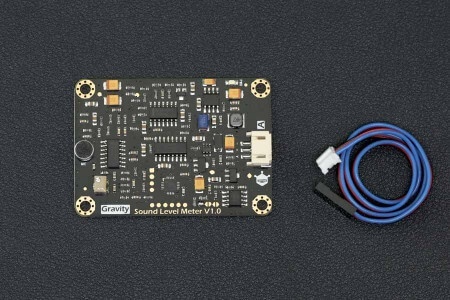 It’s time for you to DIY a sound level detector to protect your hearing. Attention: The black film on the microphone is a sensitive component, do not touch it with fingernails or other sharp objects. Do not place this module on the surface of the conductor or the semiconductor, otherwise it will short the microphone’s pins. It is recommended to place this module on a dry insulator’s surface or fix with nylon columns to hang in the air.